The main reason I am doing this blog is because I'm looking to invest on GLBSE and I thought I'd share my research with other (potential) GLBSE investors. 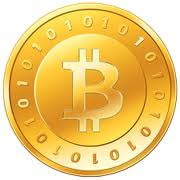 A good benefit to GLBSE mining company's is that the exchange offers you the chance to profit from BitCoin mining without the complexity of setting it, as well as paying out for the hardware and electricity. All the company's I've reviewed on the blog look good and are potential destinations for my BitCoins. I think an investment fund spread out over GLBSE products would be a safe bet rather than risking it all in one item. There was the Lif family of funds but they turned out to be junk/fraud which is a definite risk on GLBSE but BitCoins are still very new and the GLBSE is even newer. Hopefully this blog will help you find safe, secure and profitable shares to buy. All the GLSBE listing I have blogged about look good but the ones that have caught my eye are BitCoin mining companys TyGrr, FPGA.contract, Nasdaq investment fund XID.ALPHA, BTCWEB the BitCoin webhosting company looks a good safe bet and CC CoinConnect BitCoin social network looks promising. I think all those companys could be destinations for my BitCoins on GLBSE. Since starting my research into GLBSE and blogging it I have decided to start my own GLBSE listed company Red Star Mining exchange ticker symbol: RSM with the help of financial advice from the Islamic Bank of Bitcoin which I'm very gratfull for. If you haven't done so yet I recommend you check the company's blog. Thanks for reading and following this blog I hope you find it useful. Very informative! I really appreciate THIS.. Thanks for putting up such good information. Keep posting!